China and USA are embracing unmanned stores while India says no to driverless cars. Why? It's clear that India and China have a different vision for the future of technology. 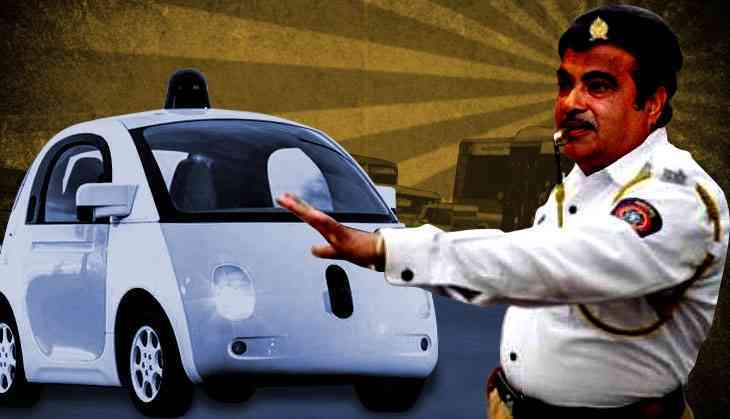 On Monday, India's Union Minister of Road Transport & Highways, Nitin Gadkari proudly told reporters, "We won't allow driverless cars in India. I am very clear on this." This wasn't a statement for fear of safety after unleashing a barrage of driverless cars on Indian roads currently notorious for long traffic jams. This was a statement about the prospect of thousands of drivers losing their jobs to these driverless cars zipping around the country. Countries like USA, South Korea, Germany and Australia are pushing ahead with it, but India remains adamant against them. "We won't allow any technology that takes away jobs. In a country where you have unemployment, you can't have a technology that ends up taking people's jobs," Gadkari said. He then went on to say that India is facing a huge shortage of 22 lakh commercial drivers. According to Gadkari, the government plans to open 100 driver training institutes across the country. “Five lakh people will get jobs over the next five years,” Gadkari added. Here's the problem with that logic. Back in the 1980s, there were anti-computer protests. In 2017, much of India is digitally run. After all, Prime Minister Narendra Modi has repeatedly lauded the effort towards a 'Digital India'. India will inevitably have to adapt to these new technologies. Choosing to bypass these technologies in order to save the jobs we already have will hamper economic growth. What's more worrisome about the timing of this speech is the fact that Motor Vehicles (Amendment) Bill, 2017 is still pending in the Rajya Sabha. A major provision of that is the testing of new technologies such as driverless cars. Former Uber CEO Travis Kalanick, Google CEO Sundar Pichai and Tesla CEO Elon Musk have all made statements lamenting the delay in bringing autonomous cars to India. For Tesla, the story doesn't stop at autonomous vehicles. Tata Elxsi has joined the autonomous bandwagon though. The company has been testing prototypes of these autonomous cars that would be ready for road testing once the regulatory approvals come in, that is if they ever do. Tata Elxsi, a Bengaluru-based company, focuses on automotive electronics and software. A lot of their platform is built on artificial technology for the ultimate goal of an autonomous car. The company currently has two prototypes of autonomous cars and has tested them on the company campus and on a playground. The testing track is full of pedestrians, livestock, unsignaled lane merges, and something common on Indian roads, lack of signage. With a number of companies clamouring to enter the autonomous space in India, it's about time, we embrace them instead of leaving them hanging for years to come. These companies can help with the implementation of the technology at a rate faster than what the government would on their own. In fact, with the government planning to launch their own taxi-aggregation app to rival Uber and Ola, there is even less chance driverless cars will be allowed into this country. The reason is to have more taxis on the road and to employ more drivers. Essentially trying to generate more revenue for the government, employ more citizens and look good at the end of the day. Amazon & China don't give a damn? A new trend has emerged in the chaotic world of technology. After Amazon 'announced' unmanned grocery stores back in December of 2016, China has implemented their own version of it. It's a futuristic grocery store that pushed the boundaries of what technology can achieve, employees be damned. In China, it's these "unmanned" supermarket stores - automated from start to finish with mobile technology that tracks payments - that are slowly taking the country by storm. Alibaba CEO Jack Ma proudly unveiled Tao Cafe in Hangzhou on 7 July marking his first steps into the automated storefront. In fact, Jack Ma isn't the only one. BingoBox was the first to launch an automated convenience store. Customers can shop in a grab-and-go mode and be charged as they walk out. BingoBox may have been forced to shut due to technical glitches but the mood in this sector hasn't been dampened. While in the USA, only Amazon has embraced this vision, in China many more - JD.com, Wahaha Group and others - have accepted the evolving technology and announced their vision. In fact, Wahaha Group has publicised its agreement to open ten thousand of these automated TakeGo stores within three years and one million of them after a decade. Traditional retailers may most definitely face the challenge from a labour-free rival, despite problems the latter is facing from consumer and product tracking failures. It is essential that people like Jack Ma, with deep pockets, provide vocational training to enhance the skills of the employees threatened by this very future and reduce their vulnerability to the said technology. Making these stores employee-free and taxis driverless will indeed reduce operational costs for the business and perk up their profits, but will overall demand be growing? Indeed, it will. Customers will prefer these services over traditional ones as the prices will be cheaper. But unless one is to rehabilitate and retrain these, they will be unemployable and therefore have less money in hand to spend on these services. But then again, rejection of technology can lead to a slowing down of economic growth and eventually hamper growth in quality of life in a country. The time saved by driverless cars - more efficient driving and less traffic - and by not having to stand in long queues at these grocery stores, could well be spent in other areas. At the end of the day, it is us humans who will dictate the way robots and AI work and it is our duty to make sure we embrace them and learn to get along with them much before they evolve to a point of no return. While India has taken a step back in this respect, USA and China have embraced an inescapable future. India would realise that, soon enough. TWEET THIS Our transport minister has said no to a future of driverless cars. Here's why that's a bad decision China and USA are embracing unmanned stores while India says no to driverless cars. Why?